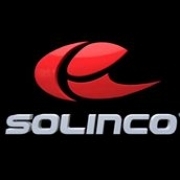 SOLINCO specializes in the development and production of the highest quality and technologically advanced performance tennis equipment on the market today. Our products include premium tennis strings, racquets, grips, apparel and other accessories. With over 30 years of extensive technical experience within the team, SOLINCO is fully committed and focused on continuing to lead the industry in break-through technologies and the development of high-performance products. Innovation is at the heart of SOLINCO’s core competencies and competitive advantage. With a fully dedicated R&D team, we take extreme pride in researching, developing, testing, and improving new designs, engineering techniques, materials, and technologies. By continuing to focus on developing cutting-edge equipment of the highest quality and performance, we continue to stay one step ahead of the competition.